Many American churches are resurrecting an old Easter custom begun by the early Greek Christians — “Bright Sunday” or “Holy Humor Sunday” celebrations on the Sunday after Easter. For centuries in all Christian faith traditions, the week following Easter Sunday was observed by the faithful as “days of joy and laughter” with parties and picnics to celebrate Jesus’ resurrection. Join us this Sunday for our 4th Annual celebration of all things joyful and silly! The resurrection of Jesus was one of the biggest surprises ever and has been called a practical joke on death itself. 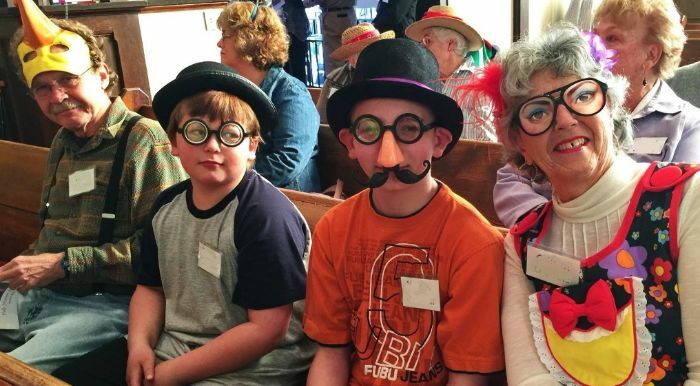 Celebrate the holiness of laughter and joy by dressing up in a hilarious hat, goofy glasses, a crazy costume, silly slippers… you get the idea. Invite a friend! Share the Facebook event by clicking here. An Improvised Life: The Practice of Being, Belonging, and Becoming Improvisation is an important metaphor for the spiritual life, and life in general. 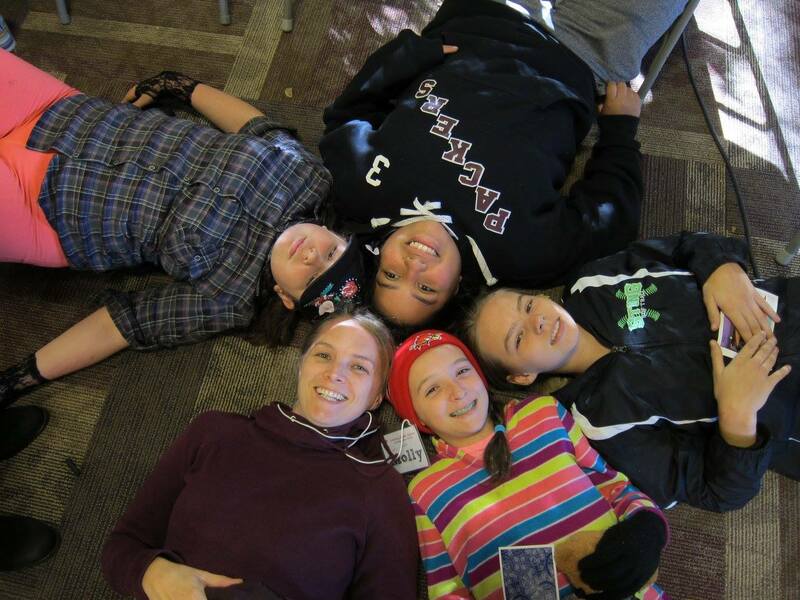 This year’s youth camp week invites youth to learn some fundamental tools of improvisational comedy – being present in the moment, deep listening, building trust, and saying “yes, and” – and see how these same skills help deepen and enrich our spiritual lives and relationships. Scholarships are available. Contact Pastor Leslie to inquire. * Lunch is provided for all. 2019 Annual Meeting of the UCC Minnesota Conference and YOU are invited! Save money by registering by April 30th! and late registration after May 31 is $135. (No activities on Sunday this year. )Our Keynote Speaker on Saturday will be the Rev. Dr. John Dorhauer, General Minister and President of the UCC and will address our Annual Meeting theme “Created for Connection: One Body, Many Members.” How are we growing our connections within the Church and outside the Church? How are we healing and bridging divides within our own communities? How does or could our collective membership in the United Church of Christ facilitate those connections? Keep up-to-date with what is happening at Annual Meeting by visiting our website. Housing is available for those that want to arrive on Thursday evening and those that don’t want to drive home in the evening can stay on Saturday evening as well, and of course there will be housing available for everyone on Friday evening. See the full agenda HERE. Meals will be available at the College of St. Benedict for lunch and dinner on Friday, and Saturday there is breakfast, lunch, and a dinner banquet. There is a $80 discount available for youth delegate registration. Call the Conference office (612-871-0359) before you register to get the discount codes. Copyright © 2019 First Congregational United Church of Christ, All rights reserved.Want to change how you receive these emails?